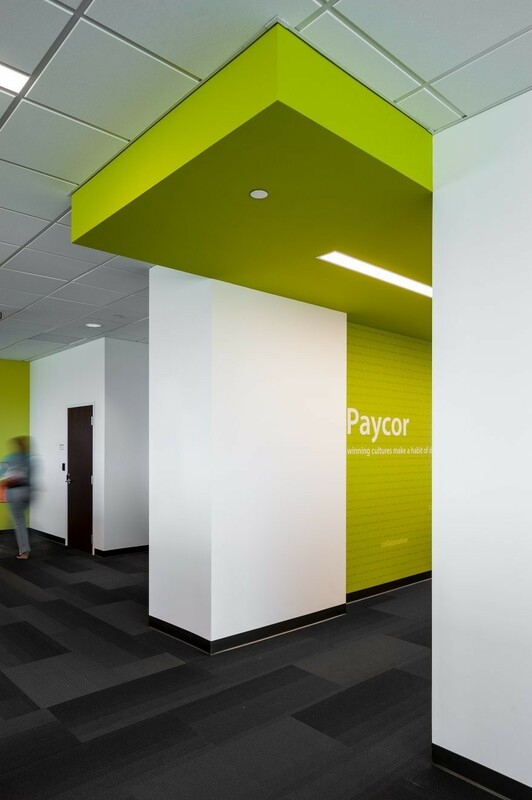 Paycor’s Corporate Headquarters is an insightful example of how a corporation’s culture can define its growth. 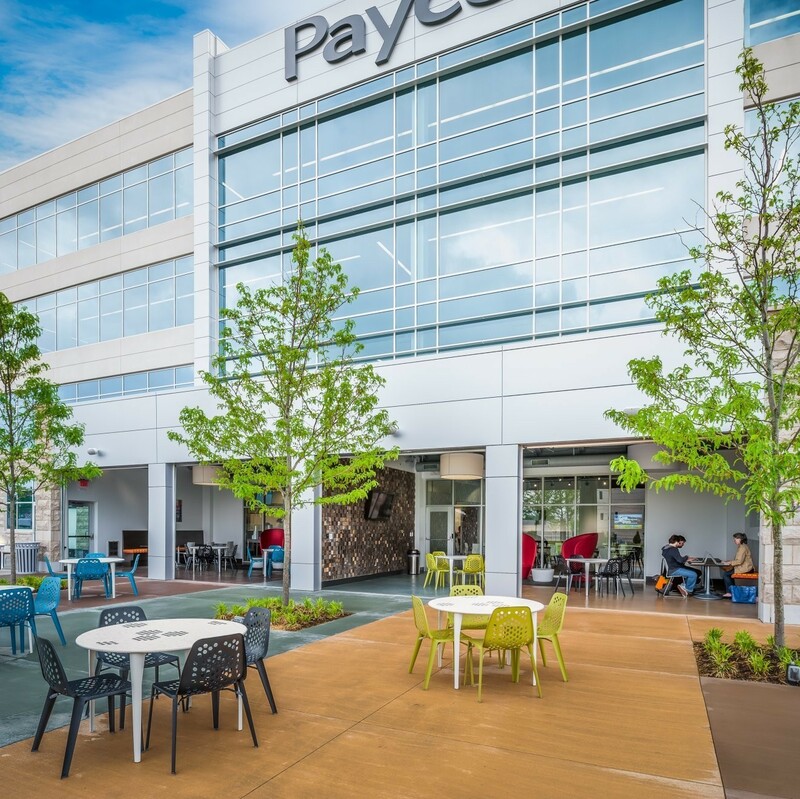 Champlin Architecture designed Paycor’s new headquarters with a fresh interior environment that embraces environmental sustainability while maximizing operational efficiency. 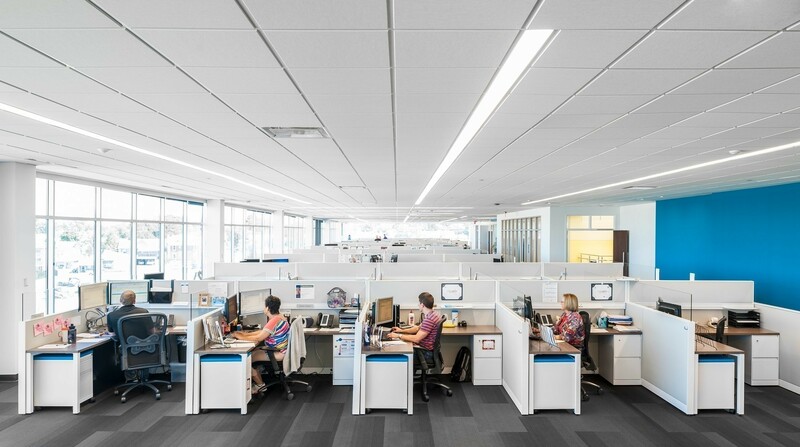 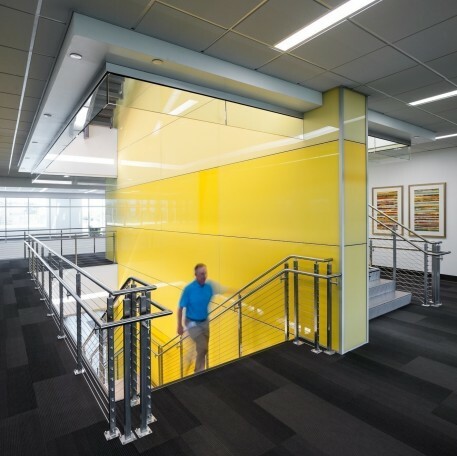 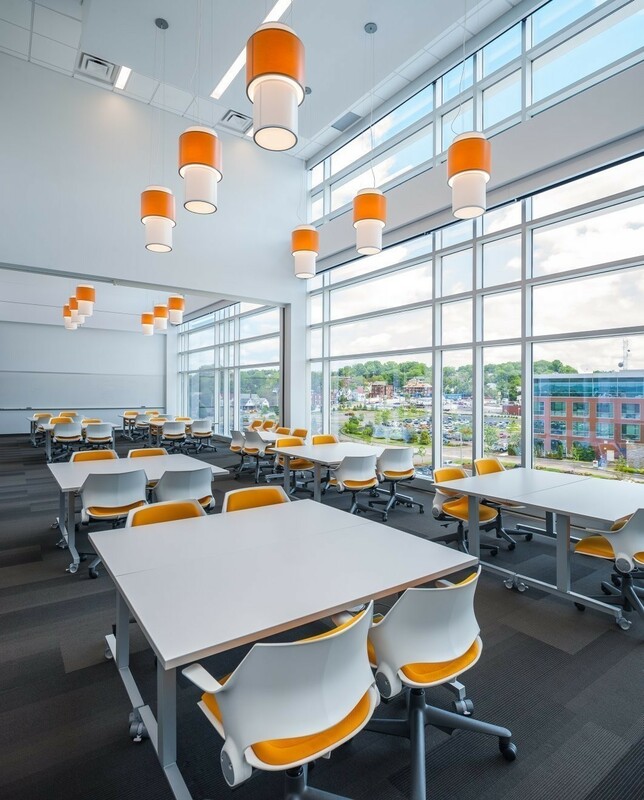 Principles of energy efficient design and employee wellness are present throughout the building, including sensor controlled lighting, a compelling open staircase connecting all four floors, and ample daylight and outdoor views afforded all employee desks. 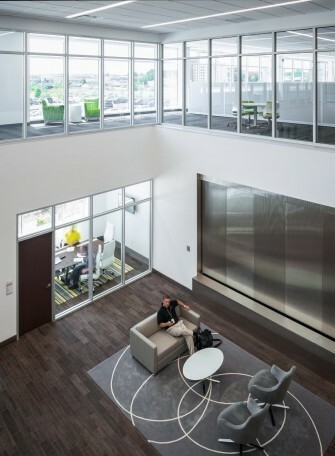 The 132,000 sf space skillfully accommodates 800 employees, almost all of which in sound-masked open office workstations. 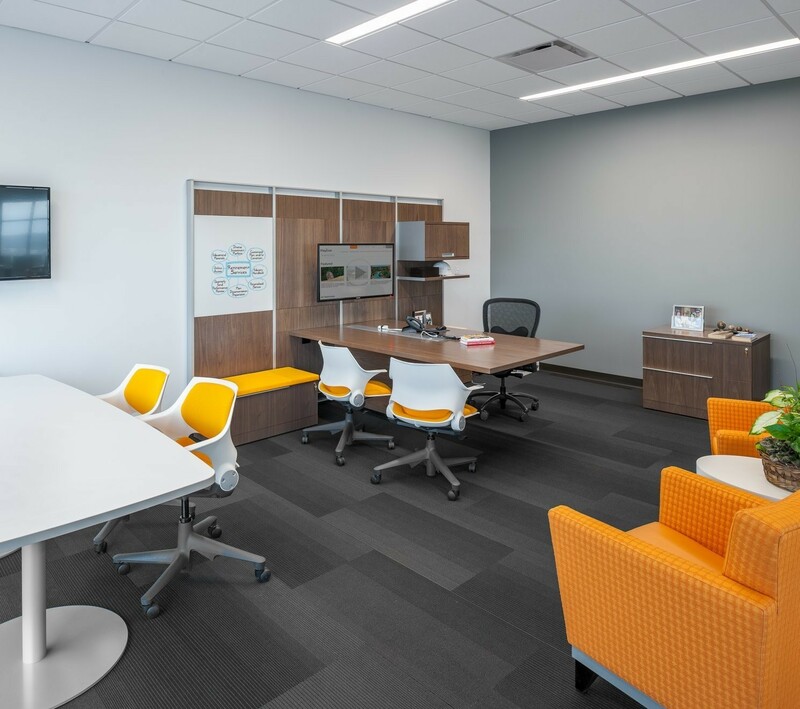 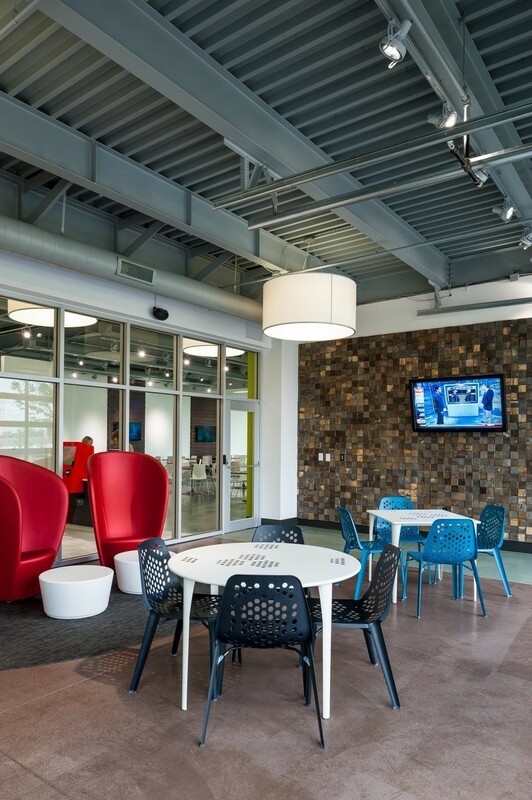 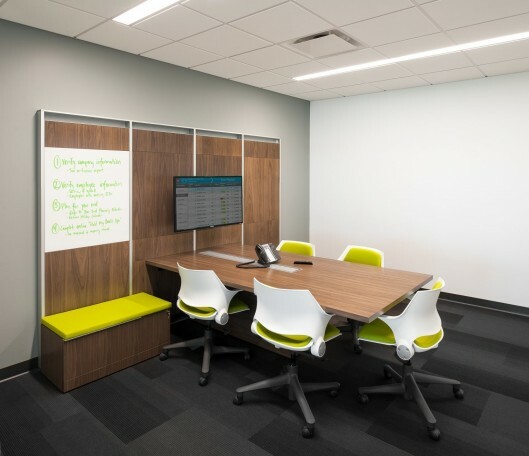 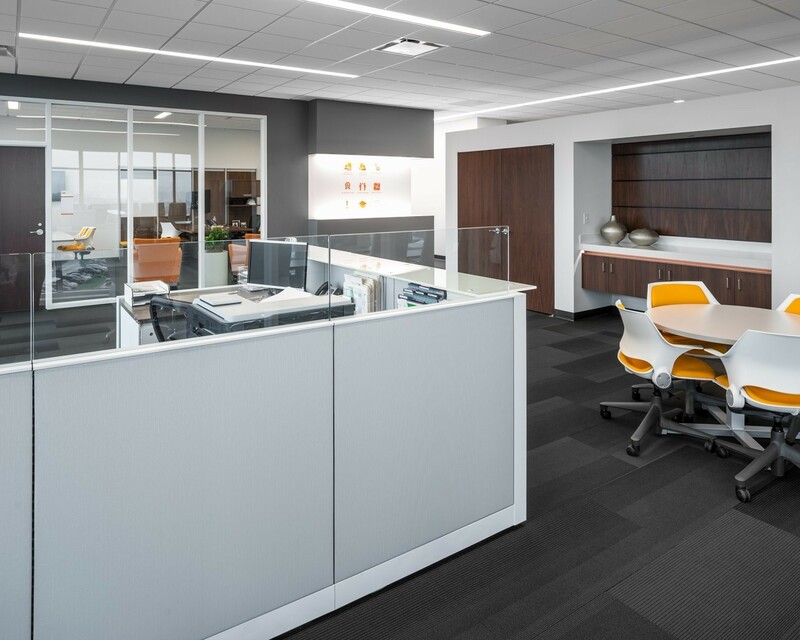 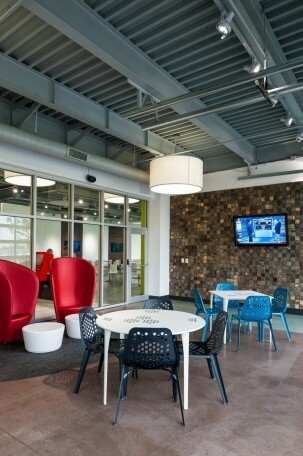 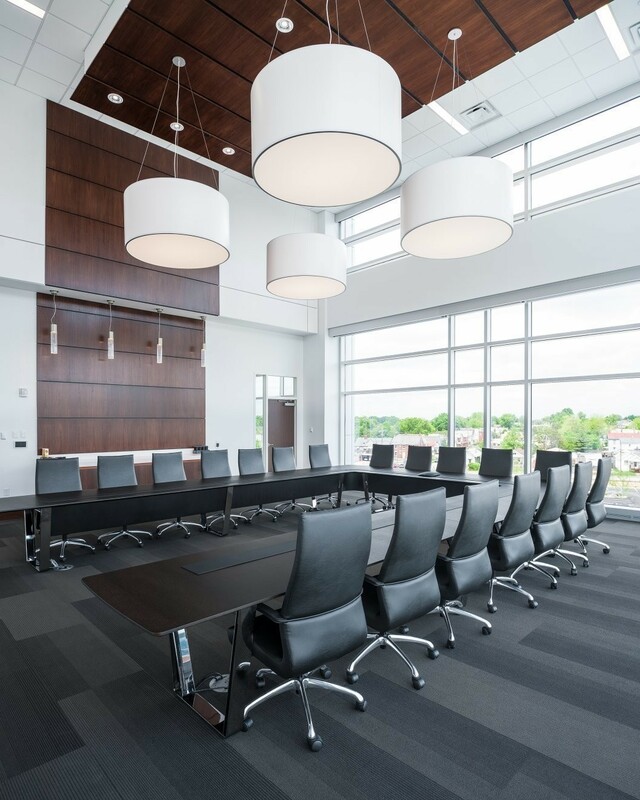 Initially, Champlin conducted Corporate Culture & Workstyle Assessment sessions, the analysis of which informed space programming for the new facility, and guided architectural, interior design, and furnishing decisions throughout the design process. Paycor’s new headquarters is a forward-thinking, modern facility, with unique employee amenities. A common theme throughout the building is integrated open work zones. 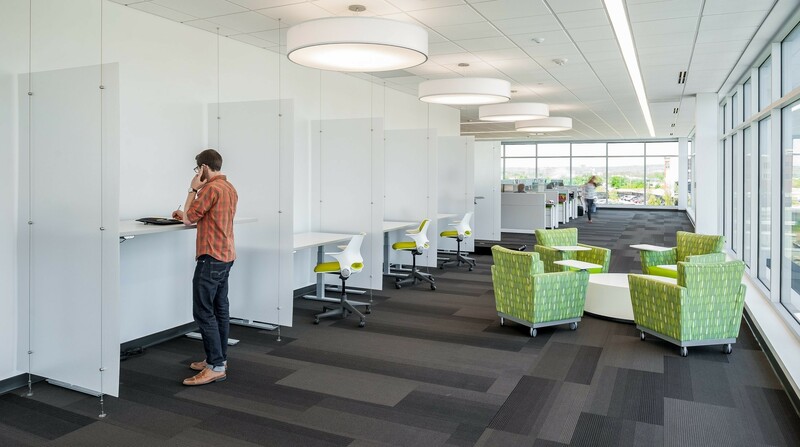 These areas encourage collaboration and build employee morale while providing efficient, tech-savvy workspace. 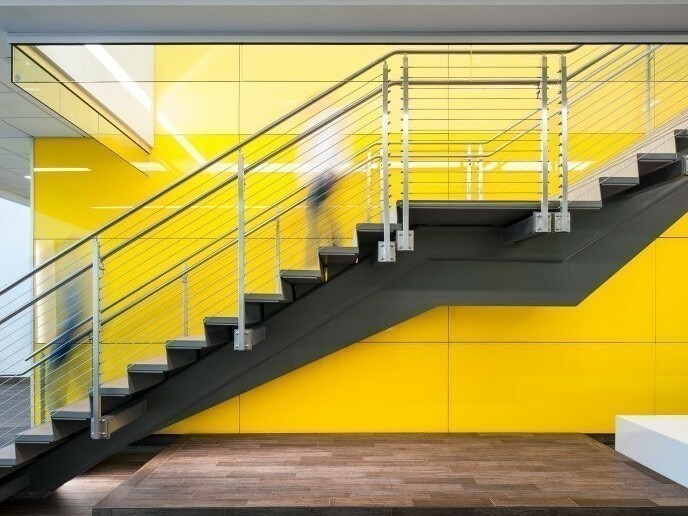 Color is used simply, yet powerfully — and fosters team culture objectives by accentuating branding and mission. 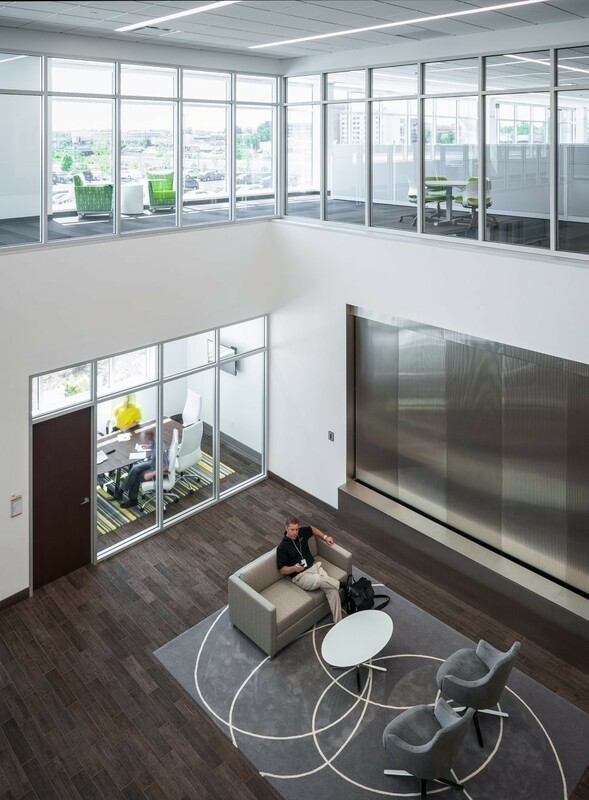 Furthermore, Champlin created flexible, indoor/outdoor space that utilizes glass garage doors — adding functional versatility that has proved quite popular. 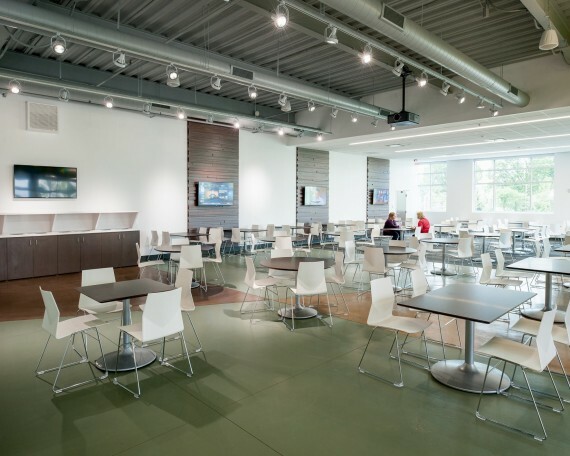 An employee café and large workout facility are also conveniently included, enticing needed breaks during the routine work day. 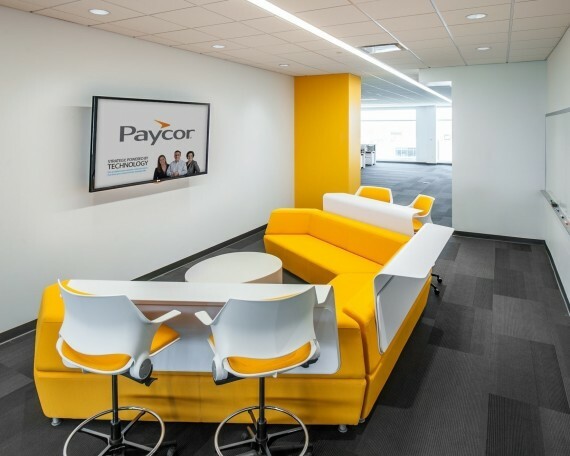 Planned for potential staff expansion, the facility has allowed Paycor the flexibility to expeditiously staff up to meet increased demand for their services.